Brief Synopsis – A getaway driver for a crime boss with a hearing problem must use his driving skills in order to survive when a heist goes wrong. My Take on it – This is a movie that I have been anticipating for a few months ever since I heard how much fun it is. 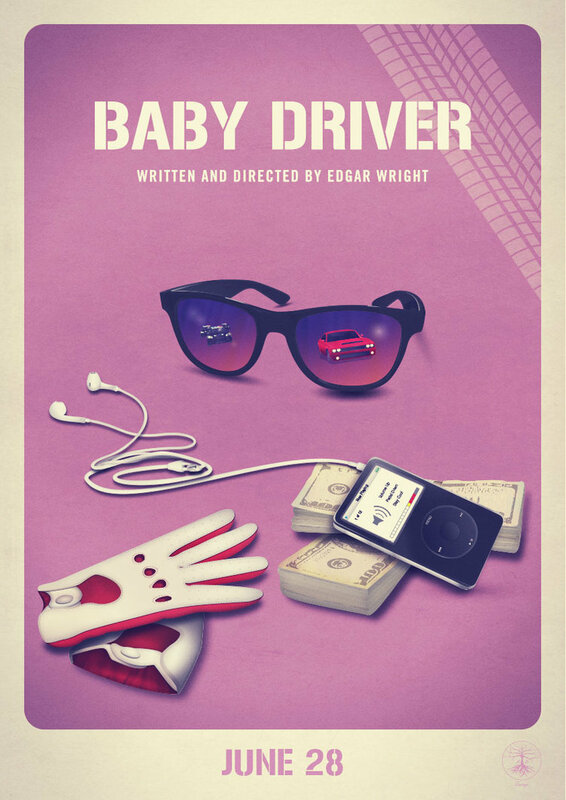 I was not disappointed in the least because pf the way that Director Edgar Wright puts it all together. The music is great; the action is fast paced and the characters are enjoyable to get to know. The added bonus is the way that Wright is able to weave all three of those things together in a very meticulous and deliberate manner. The tone works so well because it is a heist thriller, but due to its fast pace the rhythm of the music helps things work so well. The cats is amazing with Kevin Spacey, Jamie Foxx, Jon Hamm and Jon Berental all doing wonderful jobs here despite the fact that at first glance most of them seem quite miscast in these roles. Ansel Elgort is the standout tho as Baby and we get a clear picture of how and why the character gets to where he currently has gotten. This is one of the best films of 2017 and I loved the way that it draws the viewer in right from the first minute and doesn’t let go until after the credits. The soundtrack is amazing and they even took into consideration external sounds that go along with the beat (even gunshots). Bottom Line – Amazing movie that is filled with great music, action and the meticulous combination of both. The tone of the film is perfect because it allows us to get into a rhythm while still keeping things moving at a great pace. The cast is amazing and despite some of the actors seeming to be miscast at first glance, they are all chosen so well. The main character of Baby is perfectly played by Ansel Elgort and we get a clear picture of how and why he got to where he currently is. One of the best movies of 2017 because it pulls us in from the very first minute and doesn’t let you go until after the credits have stopped rolling. Highly Recommended! We’re all synched up on this one. I thought it was great as well and pending the release of all the Oscar bait movies between now and the end of the year – this one is planted firmly in my Top 3 so far. And speaking of synched – you mentioned the music – so I might add that the director, Edgar Wright, had his cast wear ear buds (small earpieces that fit into the ear without being seen) during every scene – and he played the exact music/songs that were being used on the soundtrack of the film (all had been chosen prior to filming) so that the actors could hear the song as they played the scene and link their movements to the music – especially Elgort when he was reacting in the car. It certainly worked. It was like editing everything in camera. I spoke to my son last night – who had already seen and loved the movie as well. And he told me that some of his friends – who had NOT seen it – wanted to go – so he went with them to see a 2nd time. And even though it was fresh in his mind – and he remembered everything that was going to happen – he said he was still on the edge of his seat for the entire final hour.